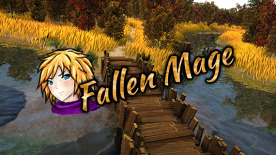 Fallen Mage is dynamic action, hack and slash game. The story and adventure drags you through many obstacles which you will face on the way to the goal. Play the rebellious mage Fellin and take a revenge!